Here’s our guide to what to EAT, DRINK, and SEE coming this week of Friday, December 5 to Thursday, December 11, 2014. 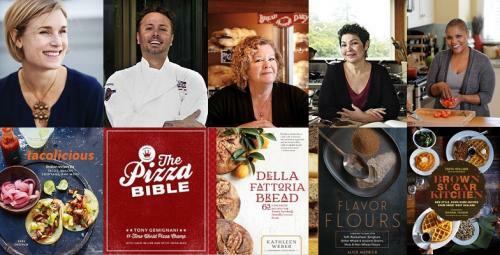 Diesel, A Bookstore fills the weekend with events featuring wonderful chefs and their cookbooks. Many of them have been featured with recipes on EatDrinkFilms. The Larkspur Landing store kicks things off Saturday at 1pm with Bryant Terry, Karen Solomon, Jean-Pierre Moulle, Denise Moulle, and Josey Baker. The Oakland store, 5433 College Ave, continues the celebration with Sara Deseran, Tony Gemignani, Kathleen Weber, Alice Medrich, and Tanya Holland! Sunday, December 7 at 1pm. There will be a tasting menu and fun all around! 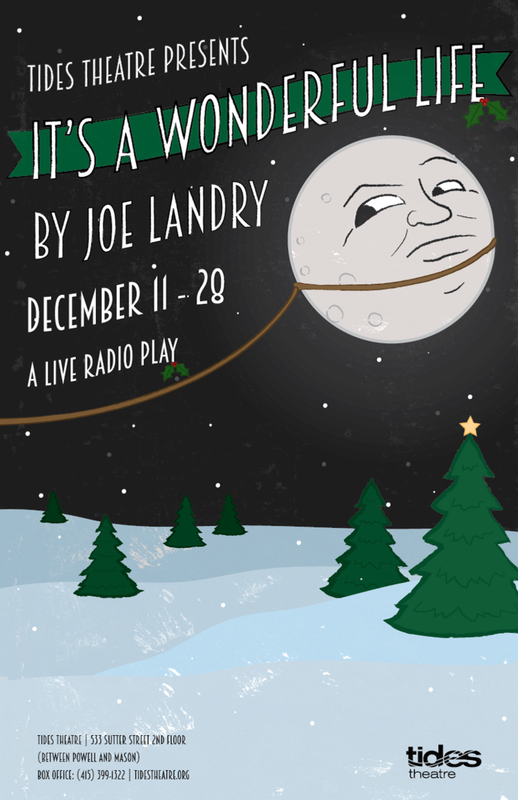 It’s a Wonderful Life, one of the all-time great Christmas stories, comes to life in a live 1940s-style radio broadcast from Tides Theatre in San Francisco. Based on Frank Capra’s iconic film starring James Stewart, this holiday favorite tells the story of George Bailey, a down-on-his-luck man whose guardian angel shows him what his town would be like had he never been born. A tearjerker even the biggest Grinch won’t be able to resist, It’s a Wonderful Life is sure to put you in the holiday spirit. Now you can experience this perennial favorite with the added charm of a vintage radio play, complete with live foley sound effects. Starts Thursday, Dec. 11. Click here for discount prices. You can see Capra’s original film of It’s A Wonderful Life on the big screen later this month at the Stanford Theatre (Dec. 24) and the Smith Rafael Film Center (Dec. 21) and the Castro (Dec. 22). All are likely to sell out so advance tickets would be a good idea. Don’t wait though—You should catch another great but untypical Capra classic rarely seen on the big screen, The Lost Horizon, kicking off the Smith Rafael’s Capra series this Sunday. This epic adaptation of the James Hilton novel that made “Shangri-La” our term for earthly paradise stars Ronald Colman as a British diplomat who crash-lands in the Himalayas and discovers a hidden utopia. Cut extensively over time, this recent restoration includes footage not seen in 70 years. Join a Friday night kick-off with Mission-based non-profit kitchen incubator La Cocina, featuring high-profile chefs like James Beard Award winner and Top Chef contestant Traci des Jardins as they collaborate with La Cocina’s female entrepreneurs. Together, these chefs will make every variety of mole imaginable from the famous Mexican chocolate variety, to Indian interpretations, and everything in between. Holy Mole, indeed! Chefs include Traci Des Jardins’ Arguello, Charles Phan’s South, Uno Dos Tacos and La Cocina’s El Pipila, Sal De Vida (voted best mole in SF 2013), Delicioso Creperie, El Buen Comer and more..
Visit Livermore Valley wine country for a holiday tradition this weekend. Wineries showcase their decorated tasting rooms with special wines, arts, crafts, holiday music, activities and more. Donated toys are given to the local Toys for Tots program. Admission is free, however, tasting fees may apply and vary by winery. Bitter Seeds is the final film in Micha X. Peled’s Globalization Trilogy, following Store Wars: When Wal-Mart Comes to Town and China Blue. The film has won 18 international awards, aired on over 30 television channels and screened in more than 100 film festivals. The makers connected viewers to NGO action campaigns and encouraged Western consumers to understand their impact on the rest of the world. Free Screening Sunday at 1pm at U.C. Berkeley followed by Q&A session with the Director Micha X. Peled. Not your typical food tour, Chef Joseph offers his knowledge and insights as guests scout out the best of each neighborhood’s food scene. Pick up culinary treasures along the way to enjoy afterwards. Chef Joseph began his culinary career at San Francisco’s legendary Salmagundi. He was a food critic, worked as a caterer, taught cooking classes, and is working on a book titled Created in California: The Golden State’s Gifts to Gastronomy. Please note: these are not tasting tours, they’re shopping tours: guests may purchase what they like along the way. This is done to keep the cost low – tasting tours typically cost $80-$100, San Francisco Food Safari is only $20. Make sure to bring a shopping bag to load up with goodies and cash, as many of the establishments do not take credit cards! Advance reservations are required; group size is limited to 15. Special deals are often available on Goldstar, Groupon, and Living Social. It’s a new day for Mexican cinema, which is exploding with energy and talent. This four-part series showcases contemporary films from young, up-and-coming directors for a brief but fascinating look at Mexico and Mexican cinema today. Opening this weekend is We Are Mari Pepa (Somos Mari Pepa) on Saturday and Sunday at Yerba Buena Center for the Arts. Watch for next week’s article in EDF. This entry was posted in Drink, Eat, Films and tagged Bitter Seeds, chefs, cookbook, documentary, Drink, Eat, film festival, film series, Films, It's a Wonderful Life, Lost Horizon, mole, shopping, wine. Bookmark the permalink.